Nevada – -(AmmoLand.com)- The Second Amendment is too important to leave in the hands of just anyone. We vote for those we know will ensure our second amendment right remains intact as it currently stands. Your donations go a long way in helping us take proactive measures like these. Thank you. Earlier this year we sent out a survey to every candidate in the race for all various seats available in the State of Nevada, from US Congress all the way down to city legislators, on their stance on gun legislation to certify that you know where they stand before you cast your vote. Using a letter-based rating system, we gave them grades from A to F if a response was given. If not, we marked them with a Failure to Respond (Ftr). We fielded more than 150 Ftr’s. However, of those that did respond, the Nevada Firearms Coalition’s Political Action Committee endorsed 27 of these candidates. To guarantee our right is protected, we need to be diligent and vote as if our right depends on it because, it does. Besides voting for these candidates, Will you help us with a generous donation as we prepare for another battle of attrition in the upcoming session? We fight for your right and anything you offer helps ensure our victory. For a full list of the candidates and their responses and to donate, please click here. The Nevada Firearms Coalition is a registered Nevada nonprofit corporation. 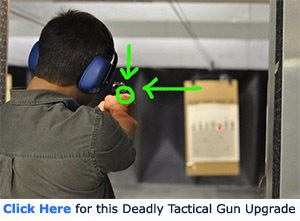 We are dedicated firearms owners, users, public and private gun clubs, and commercial shooting sports enterprises who are interested in promoting and protecting the ownership and safe use of firearms for self-defense, for establishing, hosting and participating in competitive firearms events and general recreational shooting. We also want to protect the natural resources in order to continue to enjoy the outdoor shooting sports including hunting and informal outdoor target shooting.